For much of the past century, the annual Rose Bowl Game has been one of the biggest college football events of the season. The prestige of the game is not lost on those who play in it. The nickname “The Granddaddy of Them All” is not taken lightly for college football’s oldest bowl game. Typically between the winner of the Big Ten and Pac-12, unless one of them are in the national title picture or now every third year when the game will be a semifinal for the College Football playoff, the Rose Bowl is a highlight of New Year’s Day. 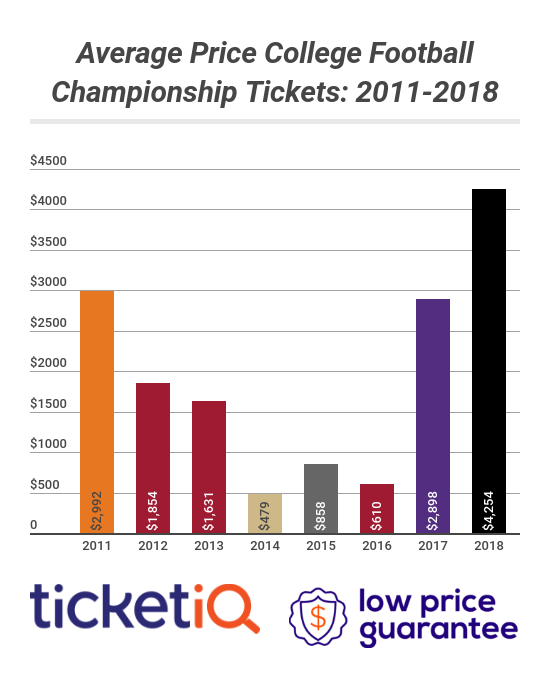 That was the case this year as Rose Bowl tickets were the most expensive on the secondary market for any bowl this season outside of the College Football Championship Game. It still holds that honor, but at a much less expensive price tag. The current average for Rose Bowl tickets is now $483.09 with a get-in price of $152. On December 7 the average price had peaked at $1,431.81 and since that time it has dropped 66.3%. It’s also worth noting that in that time the amount of inventory listed on the secondary market has more than doubled. On the 7th just 1,268 tickets were listed for sale and now 4,802 are available. Part of this could be unsold tickets from both Stanford and Iowa finally hitting the market after each school’s allotment was dispersed to alumni and fans. Whatever the cause, it will now be much cheaper to attend the Rose Bowl than it would have been two weeks ago and it could continue to drop in price before the game kicks off on New Year’s Day. Still at its current average, this year's Rose Bowl would be the second most expensive on the secondary market over the past six games.